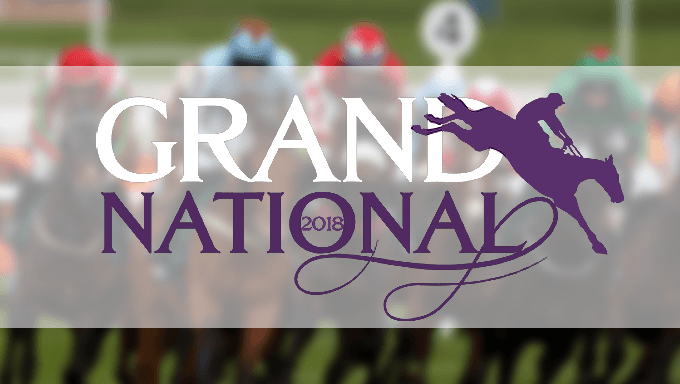 There are just a few days to go until one of the most iconic events in British horse racing betting, the Aintree Grand National, takes place. The 40-runner, four-and-a-quarter mile steeplechase is the ultimate test of jumping and endurance for staying chasers and provides a not-insignificant test for punters, too. There are many approaches to thinning out those masses of runners and finding one you fancy and, while some might like to admonish those who choose to take a stats-based approach to cracking the puzzle, it can be an instructive exercise. We’ve run through some of the recent winners using the following parameters with the hopes of getting a handle on this most tricky of betting heats. Traditionally it was the older, slightly gnarled chasers who had the edge in the race, with 13 of the last 15 runnings being claimed by a horse of nine years of age or older. That trend has been bucked somewhat in recent years, however, with an increase in the prize money on offer seeing classier, younger horses being aimed towards the race. Two of the last three winners of the race, including last year’s champion One For Arthur, were aged just eight. Logic would dictate that it’s difficult for a horse to win this from high in the handicap, with the burden of a heavy weight sure to take its toll over the marathon trip, but more recent runnings have seen that idea called into question. Interestingly, six of the last 15 winners of this have shouldered a hefty load of 11st or more, with the superlative Many Clouds managing to shrug off 11st 9lbs to win 2015. It’s perhaps best, then, not to spend too much time fretting over whether your fancy has too much weight on his back - for all that a lower weight must always be considered preferable in a staying handicap. While the ideal age and weight for a Grand National contender might have changed, the need for a horse to stay on dourly remains an ever-present. Of the last fifteen winners of the race, only 2016’s Rule The Word hadn’t won over three miles or more over fences before landing the prize. With the possibility of less-than-good ground at Aintree looming, the emphasis on stamina might well be even more pronounced this year than usual, so this is a factor that looks significant. The requirement for near-boundless stamina to win this race is matched only by the need for a canny jumper. The 30 fences at Aintree provide a unique test of a chaser’s ability to navigate a fence. The massive field and the frequency of fallers mean that old hands in the chasing game have tended to prevail. 10 runs over fences had normally been the magical metric for that chasing experience, with all of the last 10 winners having had at least that number of runs under their belts. Interestingly, in the last three years there’ve been two winners with exactly ten starts to their name coming into the race, so perhaps those classier, younger types which were touched upon above are able to compensate for their - relative - lack of nouse nowadays. Being able to read this form is key. Anyone who’s ever limbered up for a jog after an extended spell on the sofa can attest that race fitness is imperative for any athlete hoping to acquit themselves with credit. Equine athletes are no different in that regard and a run to blow off the cobwebs before this race has been important for the preparation of winners in recent times. Of the last 15 winners, 13 had a run over fences in the 50 days before the race. By taking a bigger sample in we can see that 26/27 of the winners ran within 55 days of the off at Aintree and so a pre-National blow is seemingly an important part of the ideal preparation. The wisdom of using odds as a statistical indicator is questionable at the best of times (horses can’t read a bookie’s chalkboard) and a quick look through the odds of past runners shows that it doesn’t pay look for a horse with any particular price profile. The last ten years have thrown up two winning 7/1 shots as well as a 100/1 chance and casts doubt on the wisdom of seeking out runners within a certain range of odds as part of your whittling process. So, look for a young-ish horse with proven stamina, solid jumping experience, ideally with a less-than-brutal weight on it’s back and you might be able to get yourself the most elusive of punting prizes - a winning Grand National docket - at one of the top online horse racing betting sites.